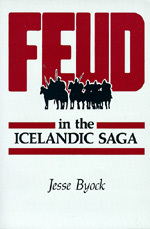 Feud stands at the core of the Old Icelandic sagas. Jesse Byock shows how the dominant concern of medieval Icelandic society—the channeling of violence into accepted patterns of feud and the regulation of conflict—is reflected in the narrative of the family sagas and the Sturlunga saga compilation. This comprehensive study of narrative structure demonstrates that the sagas are complex expressions of medieval social thought. Jesse Byock is Professor of Old Norse and Scandinavian Studies at the University of California, Los Angeles and author of Medieval Iceland (California, 1988) and translator of The Saga of the Volsungs (California, 1990).